Just days after David “Bakes” Baker took out the $10,000 H.O.R.S.E. 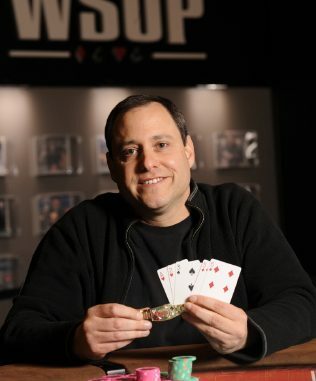 title, David Baker returned to the podium to collect a WSOP gold bracelet. Not that David Baker, the other David Baker! Recognised in the records as David “ODB” Baker – as in the Original David Baker – the Texan won the $2500 buy-in Eight-Game Max event for USD $271,312 in prize money. Baker (pictured left) had already proven himself to be one of tournament poker’s most consistent performers in recent years. Prior to this event, he’d cashed 27 times at the WSOP since 2006 – placing him among the top 10 within that time frame. 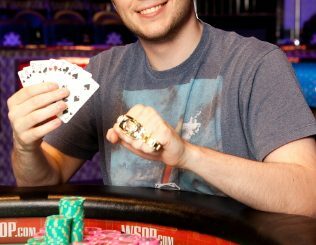 He’d also already earned in excess of $1 million at the WSOP before this victory. He made a remarkable comeback against two-time gold bracelet winner Greg Mueller. At one point during the heads-up match, Mueller had Baker down to the felt and was within a hand or two of busting his final adversary. 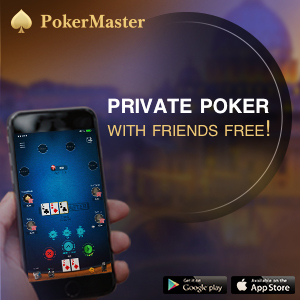 But it was not to be, and the two friends played a cordial but intense heads-up match, with Baker finally getting a well-deserved victory. • Three days ago, Dung “Gomer” Nguyen was walking down the hallway of the tournament area at the. It was a few minutes before noon, which was the starting time of Event #38, a $1500 buy-in No-Limit Hold’em. Nguyen had no plans to play the tournament that day. His intent was to sit in cash games and perhaps enter one of the Deep Stack tournaments. That’s when Nguyen ran into a friend who also had no intention to play in that day’s gold bracelet tourney. The duo agreed to split the entry fee and the two friends agreed to a 50/50 partnership, which meant that the investment would equally split of any prize money winnings. Despite the mammoth field of 2534 players, Nguyen (a 37-year-old part-time player and resident of Wichita, Kansas) picked his way through the field to win the WSOP gold bracelet and a staggering USD $$607,200. A great story indeed. • Saturdays are always a massive day at the WSOP and this weekend is no different. Event #39, the $10,000 buy-in Pot Limit Omaha World Championship is down to 13 players where Andrew Brown holds a comfortable chip lead. 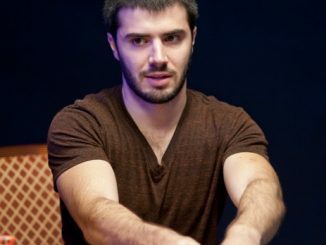 Sammy Farha is second in chips while Jason Mercier and Ville Wahlbeck are also still in the hunt. Terrence Chan has already chalked up an amazing eighth WSOP cash for 2012 in Event #40, the $2500 buy-in Six-Handed Limit Hold’em tournament. Vincent Gironda is the chip leader with 10 players left, while Sorel Mizzi, Chad Brown and Rep Porter will also return to contest the final day. A total of 1394 players signed up for Event #41, the $3000 buy-in No Limit Hold’em tournament and 288 will return for day two. Hafiz Khan leads the field while four Aussies will be back to chase the gold – Jackie Glazier, Jonathan Gamerov, Kel Beattie and Paul Birman. Event #42, the $2500 buy-in Mixed High-Low Split (Omaha/Seven-Card Stud) tournament started with 393 players and 164 will be back for day two. Chasing his sixth bracelet, Jeff Lisandro is third in chips while fellow Australian Poker Hall of Famer Gary Benson will also be back for day two.